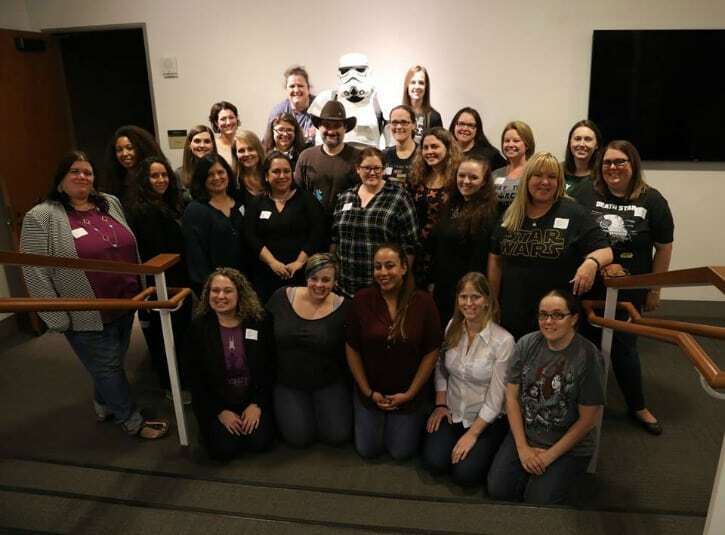 On my recent trip to San Francisco I had the opportunity to check out a new episode from the hit show Star Wars Rebels. I have to tell you I was soooo excited! My kids LOVE to sit and watch this show (If I let them for hours). There are Saturday Mornings where you’ll catch all 5 kids + Hubby and I in bed catching episodes of this show. So when I found out we would be watching the Season Premier Excited was an understatement. 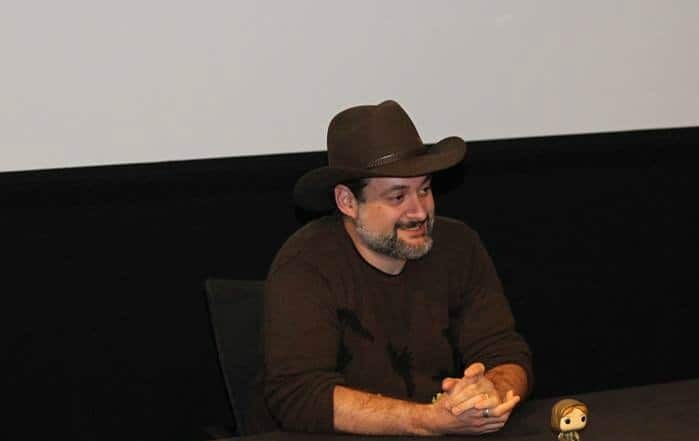 When I found out I would be sitting down afterwards to discuss aspects of the show with Executive Producer Dave Filoni I was so thrilled! 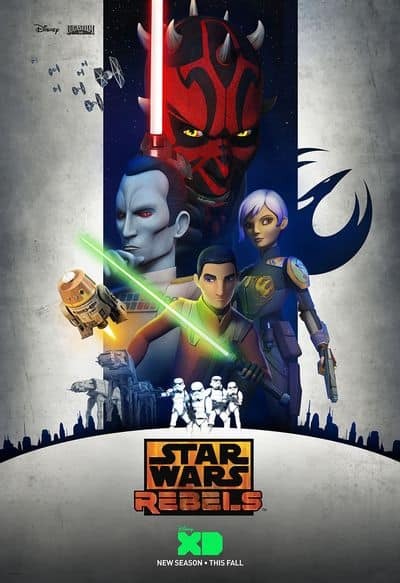 So head below and check out what Dave Filoni had to say about this Hit Show that helps fill the void between Star Wars movies, Star Wars Rebels. To begin How does the process work in order for the episodes and movie to mesh together? It’s not that difficult, it’s just all one big story. And you’d never really think in terms of like, well this piece is a movie, And this piece is a book, And this piece is a TV series… Because you just know these characters. So like I know Saw, because I helped introduced the character of Saw. So when they were doing stuff with him in the movie, my office is right next to Kiri Hart of the Story Group. And we talk all the time, and ask questions. And then I got to meet Gary Whitta and we’d talk. So it’s really just like any good storytelling. It’s a bunch of people having discussions and talking about the things they like, things they don’t like. Getting different opinions, and then, I always feel strongly about them going off and making their choices. And I did Saw for the part that I had to do him. And CLONE WARS set him up and, but I was excited that anybody could see where that went. So if anything, you’re more involved and that has huge pluses. ‘Cause you get to see it. But at the same time it’s like you’ve seen it and you’ve read it. Then you keep working on it. So you keep trying to find for me as a fan, little pockets of STARS WARS that you don’t know. Which are almost treasured for me at this point. ‘Cause, as opposed like, so that’s how that went. You know, but it’s all, I would be lying if I told you it’s not really fun, even 12 years later. 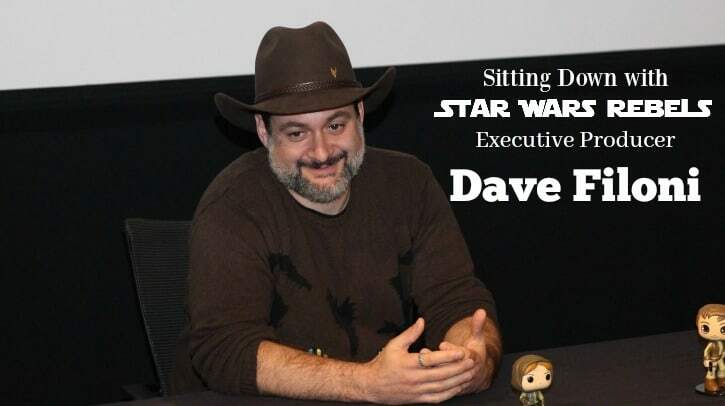 Dave talked about how The STARS WARS universe was great before he got there and, it’ll be great long after he’s gone. And that’s just how he feels about this, it’s not his story. He realizes that he’s privileged to be a part of this story and where he gets to add to it. He’s especially grateful for that. 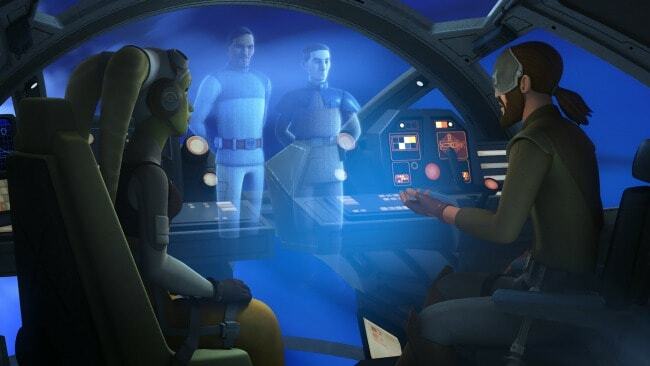 But he looks at the work they’ve done in animation especially, and the characters that they’ve added with Captain Rex,Chopper and Ezra, Sabine and Kanan and Hera and adding those characters give a dimension in ways that the franchise didn’t have before. He especially loves the “Explosion” of female characters .It’s telling the stories that have been long overdue. And so we’ve been telling the stories and adding dimension to these characters. That’s the great part. And it’s fun when you have a tie-in but I like it when it’s more of a wink. It’s not something that was ever missing, if it was important, they would have done it. So I’ve always kinda looked at it that way. And I learned a lot of that from my years of working with George. So it’s fun to do, but you have to be careful that don’t overdo it, that your fandom doesn’t get in the way of telling a good story. During production of the show they are usually working on 2 seasons simultaneously.When one is usually coming to an end and another one is well on its way. When putting together an episode they do a story reel that’s a shot proxy, the little limited shapes and objects of the characters. But it’s very clear what’s going on. And they record that with the temp actors at Lucasfilm. “And it’s horrible, horrible, horrible temp voices”said Dave. And that fact goes all the way back to CLONE WARS. Because they developed that technique because George and Dave would change what was happening in story and the dialogue so much, there was no point in bringing in the actors to record them. Because you’d have to re-record them.And what’s great about that is that pretty much by the time he sees the cast he’s shot the whole thing. So he know how it all fits together and his script is ready to go. So How Did Forest Whitaker come to the show? Yeah, it was a huge benefit to us. He was fantastic, it’s one of the secrets tho, when you’re a very good director, you just have a really great actor. And so you need, he doesn’t need a lot of advice – I just gotta put him into place and tell him what’s going on. And he’s just fantastic. So it was great to work with him and it’s added to a long list of incredibly wonderful performances that we’ve had in STARS WARS across the board. Not just on REBELS. But across the board. I just love that they want to do it, is my favorite thing. You did a great job of creating parent and kid-friendly animated feature. How hard is it to balance that? “Thank you very much. I appreciate that, ’cause it is a goal of mine. Because I feel very strongly. When I talked to George he would always say he created STAR WARS for kids. That was the big thing.When I was a kid it was a great thing because my parents liked it. It’s not that they didn’t like everything else but they were very big into opera, very big into the symphony, Very big into those types of stories. And there is a great relationship between those stories and what STARS WARS presented. So it wasn’t talking down. And there were a lot of things to talk about, as a family. And characters that we could relate to. 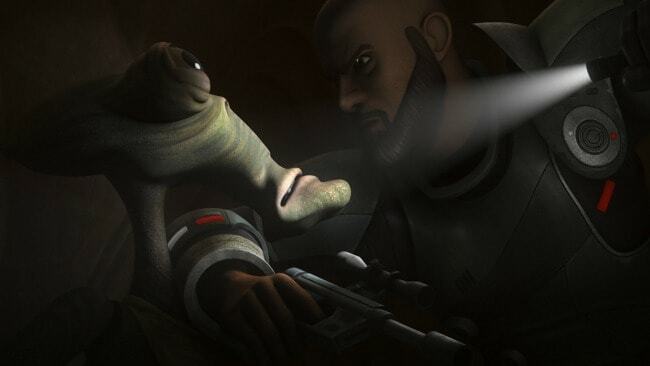 So I think especially in the beginning, a lot of fans would come up to me and say, “Dave, why are you making REBELS for kids?” ‘Cause that’s such a perplexing question to me. ‘Cause I would say to them well, when did you first watch STAR WARS? When I was six, and it was the greatest experience I ever had. And I’m like, okay. So my whole goal is never to take that experience away from kids, it’s to involve everybody in it, to make it a place where the best compliment we can give for the series is that it’s something that the family watches together. And I’ve had that, parents tell me they watch it with their kids. There are some challenging things we get too, especially when you deal with the Jedi. Things get dark at times. But you always have to monitor that, you know, it’s like fairy tales have frightening moments in them. Otherwise when you shine bright and things are good all the time, it doesn’t shine as well. I was raised reading Tolkien, THE HOBBIT and things of that nature. C.S. Lewis and there are scary parts in those books. But then when you come through, I mean, Darth Vader is intimidating. Everybody says, “Oh, Darth Vader, put Darth Vader on,But this isn’t he scary? I used to be a little kid and freak myself out just thinking of how he breathes. I would be alone and be like, Oh my gosh. But that’s what you want – kids to be afraid of the bad guys, because they’re evil. And they recognize that. And so I just always think of those stories I had as a kid and those relationships I had. And I try to make something that’s not as much for myself but for my younger self. But my older self will still watch it and be like, that’s cool. It’s a delicate balance. Because I see honestly, in today’s world, I see like a danger in a lot of the fans that have grown up. You kind of have a generation of filmmakers now, they’re all fans. More than you ever had before, I think.And they’re very vocal about being fans. Which is great. It’s great because they have the understanding of why the material is important. But there’s a danger of trying to take the material and accidentally change it into being for them now. Their 40-year-old self. And you see that kind of in a lot of different franchises out there, that things get darker. And you kinda go – but that’s not what I remember I liked as a kid. But there’s that impulse to say like, yeah, but now I would do this. And wouldn’t that be cool? But you just always have to remember, STAR WARS is a story ultimately, right, the original trailer says, A boy and a girl in a galaxy. Which is the big opening of the door, and a wonderful thing. And a magic thing. And the adventure. So I just try to maintain that. So what was it like to work with George? Oh, it’s fantastic. It’s the greatest education I could have asked for, in what I do. It was like going to film school on a daily basis with George Lucas. And he is incredibly knowledgeable, he’s incredibly patient. I had to earn that relationship, I had to earn the things I got to do. The challenge in CLONE WARS was to learn how to do this his way. Show him that we could do it as a group,and then he would let go of it more and more, which he absolutely did as we went on with the series. But it was very challenging, he absolutely knows what he’s doing. If I left the tiniest shot a couple frames long, he would watch it, and I’d be like, oh no, I see. ‘Cause you know, you must have the experience, you’ll never notice as many mistakes as you have made until you are sitting next to the person you need to show it to. So we’d edit an episode all over and over and over again. And he’d come and sit down with my editor and I’d be like, ohhhhhhh, why didn’t we fix that? You know, but it was a great experience. And I wouldn’t trade it for anything. And everything that he taught me I recall, I wrote down. And I keep teaching that to people today, no matter who it is, that I come across in the story of STAR WARS saga. You know, obviously I’ve added my own ingredients to what I do. But I always try to approach it from that perspective that I have. And that’s why I’m not trying to make my version of STAR WARS. Though as the years go on, I suppose that’s inevitable. But I’m trying to remain true to the point of view that he had, that he wanted for these characters he thinks. ‘Cause it’s not mine, but like I’ve said before, I’m just a part of it. But I have a job to maintain the integrity of this thing, to keep it special. As special as it was for me growing up. So that’s the way I see the goal. And hopefully we have achieved that. I’m so far very pleased with REBELS and how it’s evolved. And I think that by the end, it’ll be something that fits nicely in the STAR WARS galaxy. During the premier Episode you’ll meet a character named Klick Klack. He’s a character that will win you over. So we asked Dave if we’ll see him again and he said probably not. That’ happens a lot, when he introduce characters people fall in love with. Some he doesn’t even think about introducing back. It makes him laugh to see the emotional attachment many people get to characters. Most important he’ll get stopped and asked about many characters that impacted people, yet he didn’t think would. So it’s been a neat process. It was such a pleasure getting this fantastic insight from Dave on so many aspects that go into making this fun show. It was like peeling away at the layers of something I enjoy and just watching how it all comes together. Make sure and catch the Season Premier this Saturday Night at 8:30/7:30 c on Disney XD! Here’s a little extra I got a hold of just for you all! It’s a trailer for Season 3! Check it out! What a neat interview to have! My kids have been interested in Star Wars, but we haven’t see the Star Wars Rebels show yet. It does sound like something they and my hubby would enjoy! How amazing!! I always wondered how they got everything to mesh so well together!! It always seems so intimidating to think about! You are so lucky to have had the chance to interview all of these wonderful people. Love your posts.